Mekon Ecology provides the support unit / secretariat for coordinating and facilitating the implementation of the Amsterdam Declarations Partnership (link) on deforestation-free, sustainable commodities. The Amsterdam Declarations are signed by Denmark, France, Germany, Italy, the Netherlands, Norway and the United Kingdom. The objective to promote “eliminating deforestation” is a non-legally binding, political intention and supports the private-sector goal of zero net deforestation and, in particular, the commitments expressed in the New York Declaration on Forests, underlining the global importance to preserve primary forests and high conservation value areas a.o. through responsible supply chain management. The signatories therefore reiterate the New York Declaration on Forests’s vision of joint actions by all stakeholders. In addition, we welcome the private sector goals for eliminating deforestation from global supply chains. 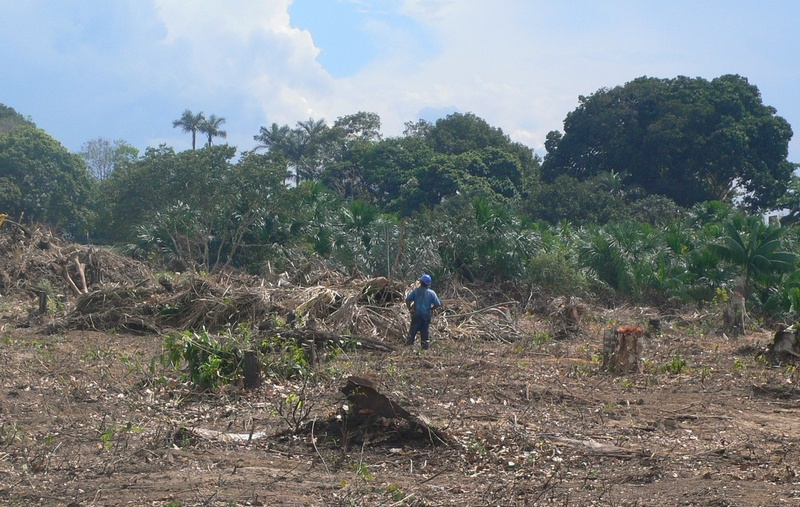 Support policy options and a roadmap towards an EU Action Plan on Deforestation. As the world’s largest economy, Europe has an opportunity and responsibility to move the global economy to a more sustainable path. Europe is the second largest global import market for palm oil and home to some of the world’s biggest brands and companies. Europe can be an important ‘game changer’ when it comes to a sustainable palm oil supply chain for the world. This can only be achieved if all public and private stakeholders work together in a coherent way according to each role and responsibility. This includes industry parties, civil society and governments of producer and consumer countries. Facilitate European action on Climate, Deforestation & Trade: Deforestation from agricultural commodities should be more closely linked to discussions on the implementation of the Paris Climate Agreement, the CBD Strategic Plan for Biodiversity, European trade negotiations and the Sustainable Development Goals (SDGs). Stimulate the Global Value Chain approach for agricultural commodities, in particular palm oil: Advance partnerships on the production side as well as the consumer and market uptake side, and work with producer countries on integrated landscape approaches. Enhance the dialogue with major consumer and producer countries: Expand global market coverage by engaging partner countries and through diplomacy. Enhance transparency and use of voluntary CSR reporting: Integrate deforestation and climate / carbon footprint in reporting on Corporate Social Responsibility and enhance third party monitoring.